We run tailor-made courses for corporate individuals or groups which can be held in-house. Everyone on our courses at least doubles their reading speed in the two days. Some are reading up to 4 or 5 times quicker and everyone continues to improve as they apply the skills. All participants understand and can apply all 37-speed reading skills and develop a system which meets their personal requirements. In volume, all participants are able to process about 10 times more material in the time available. We also offer each participant a lifetime guarantee in the form of follow up emails/phone calls/visits if needed. Our two-day courses come with a lifetime guarantee (ie participants are welcome to contact us individually at any time for follow-up coaching on their reading). This is because over two days people are able to change their way of approaching their reading so that they not only read two or three times faster, they are also able to process at least 10 times more material – and know how to use what they read to build their knowledge and skills. The difference between our course and others is that where other courses teach people about the skills and expect them to practice after the course, participants leave our course having experienced success and being able to apply what they have learnt immediately in their working environment. Although they will continue to improve with experience after the course, they do not have to practise techniques, but rather put them into practice. Why two-day speed reading course? We have been asked in the past whether the speed reading course can be done in less than two days. Although most people understand most of the speed reading techniques during the first day, our experience shows that either cannot or do not apply the skills without enough practical experience. Individuals have different learning requirements and these cannot be addressed in a one-day speed reading course. However, we have also had great success with our one-day course (particularly with in-company courses where participants have shared goals). From past experience, we would expect 95% of people to at least double their reading speed, and in addition they will know, have practised and be able to apply most of the 37 techniques which cumulatively lead to the confidence required to process written material much more quickly, select the important information, and have skills to ensure that they remember what is important. We teach both speed reading and photoreading on the course. If we run an in-house speed reading course at your venue, the total cost (including 200-page handbooks) starting from £3450 for up to 12 participants depending on the location and set up. Jan Cisek – the first certified PhotoReading and speed reading instructor in the UK, with more than 18 years’ experience. Susan Norman – the expert in accelerated learning and speed reading. Together we have co-developed the Spd Rdng system which has been producing the most effective results for more than 10 years. As well as the regular open speed reading courses we run, we have worked with many organisations in-house and we have extensive experience with people in all fields over the last 10 years working with groups from 6-150. 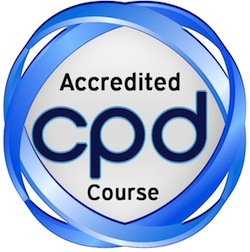 Our course is CPD accredited.